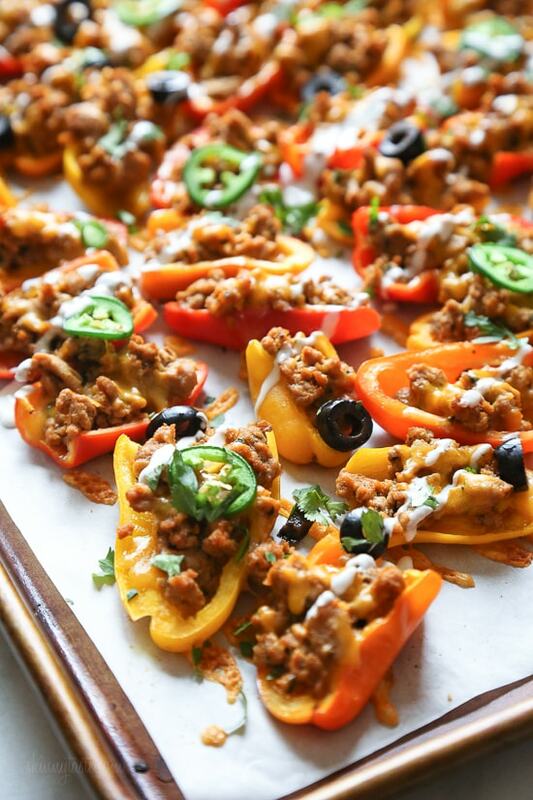 Mini Bell Pepper Loaded Turkey "Nachos"
Loaded turkey mini bell pepper nachos – game changer!! 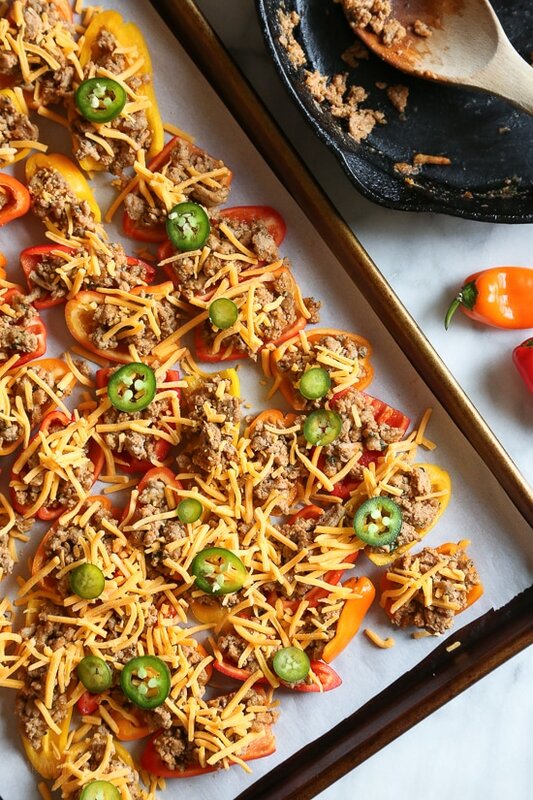 These low-carb nachos are loaded with turkey taco meat, cheese and all your favorite nacho toppings! With the Super Bowl happening this weekend, I thought these would make a lighter alternative to traditional nachos. Mini rainbow bell peppers are the perfect size for eating with your hands, but heck, you could even make this for lunch or dinner and call it a meal! These are so good, and picky-husband approved! 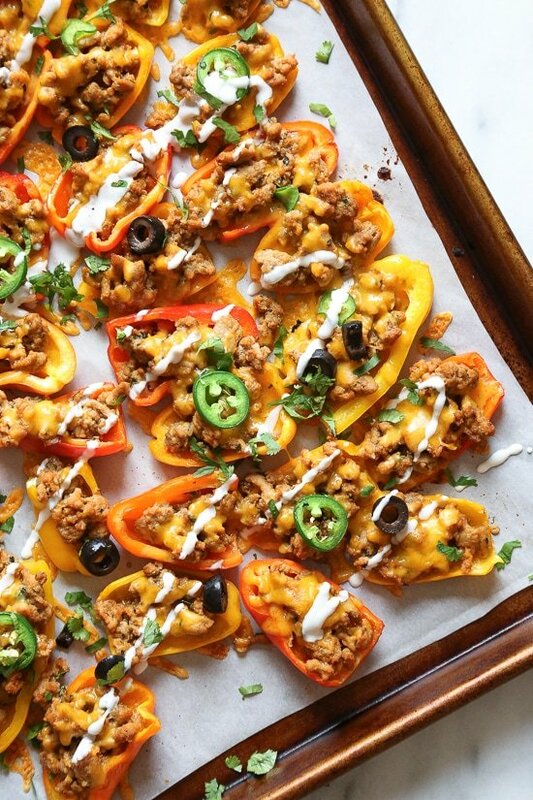 More party appetizers you may also like are Jalapeno Popper Nachos, Buffalo Chicken Dip, and Shrimp Salsa. Check out a full list of Super Bowl Party Food ideas. These were absolutely delicious! I am new to Keto, and this is my new favorite meal. My boyfriend enjoyed them as a side to his tacos that he ate and loved them!! They were super easy to make as well. Thank you for sharing. This will be my lunch this week….but I am using no fat refried beans and saving my defrosted turkey for little meat loaves. Plus I love refried beans. A gal at work was eating nachos for lunch and I was so tempted, glad I remembered these, my WW weigh in will go better now, lol Love all your recipes. I made these for hubby for the Super Bowl and he LOVED them! This is saying a lot because he generally isn’t a fan of my cooking when I try to make a confort food healthier. Honestly, we didn’t miss the nacho chips. Thank you Gina! Prepping these now for the big game today! I can’t wait to try them. This is one of my favorite recipes. I don’t use fresh jalepenos or the olives. Also, I bake the peppers for 10 minutes and then top them and bake longer. Makes the best leftovers. I am thinking of making a double batch of these and flash freezing them before they are baked. Then adding just a few more minutes onto the bake time(baking them from frozen). Anyone try this and how did it turn out? OMG these are sooooo good. I wasn’t sure because I can be weird bout bell peppers sometimes but these are amazing. Got mini bell peppers from the farmers market and followed the recipe as directed. Eating the leftovers at work right now and they are still delicious! These were SO good!!! this is the 2nd time I make them, and will make them again for sure. My picky daughter could have eaten the whole sheet of peppers. She absolutely loves them. My husband too. I had to stop him because I needed leftovers for lunch today 😉 Love the fact that this is low-carb, although I have also used tortilla chips, which are also really good. Easy and delicious! I left off the jalepeno and olives bc I dont like them, but you could add/subtract whatever you like on nachos. This is a game day favorite for me. Thank you Gina these are excellent!!! Made these nachos tonight. My husband said it was a winner and he felt like he was cheating ! I made the recipe precisely as written . I loved the peppers, was happily surprised at how well the peppers cooked in 10 minutes in the oven. Not raw and hard but also, not mushy. 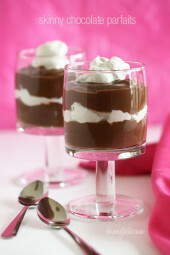 Delightful finger food idea to hold the filling. Can’t wait to eat the leftovers for lunch tomorrow ! Really enjoyed them. Had no cumin at home; substituted it with chili powder. Also had some marinara sauce open, so used that instead of tomato sauce. Definitely make again. Another amazing recipe! The only change I made was using leftover Mexican seasoning I had from the southwest chicken skillet recipe instead of the seasonings listed. This was my first time to use ground turkey and I actually really liked it. A little labor intensive but well worth it! Made this and this tonight and loved it. I make your recipes almost exclusively. Love to try new ones every week. Will definitely make again soon. This is seriously the best nacho recipe I have ever had! 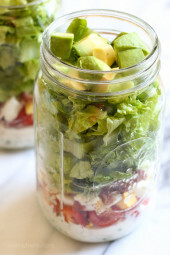 For a craving of Mexican food and nachos but wanting a healthier choice, I stumbled across this “Gina recipe” (as I refer to all Skinnytaste recipes in my house!) and am only regretting I did not try it sooner!!! The only change I would have made is not being stingy and dividing up the extras and keeping it all to myself instead!!! Now I can still have my nacho craving and it is still a healthy choice go-to! Thank you, Gina! Fabulous! Hooray! I made this last night and it was delicious!! My husband and son (3y/o) absolutely loved it. I ate the remaine mixture with romaine lettuce next day and it was very good too! Thank you for this amazing recipe! I have been craving nachos something fierce but I really have to watch my carbs. These were delicious! You could seriously use any taco filling if you have a favorite then fill, top with cheese, bake and garnish. The idea of using the peppers as the base is brilliant and in my opinion the star of this recipe! I have made twice and in fact the one time I cheated and used leftover turkey chili that I had in the fridge, I used a slotted spoon and was just careful to only get the meat, beans and tomato chunks and it was equally delicious! Delicious! I made half the recipe of the turkey meat. I used some of that over 5 peppers (10 nachos) for a delicious dinner for one, with enough leftover turkey for round 2 tomorrow. I generally love SkinnyTaste recipes, but this was an exception. I made these for the Super Bowl. (along with the Spinach and Artichoke dip which was delicious!). These were really underwhelming. They tasted like health food. What I like about SkinnyTaste is that the food still tastes really good at the end, just without the fat. This recipe just didn’t live up to the standards. The only way we could eat it was to add tortilla chips to it. Made these for SuperBowl Sunday…they were great!! So easy and you really do not miss the chips one bit! Wonderfully tasty! Using the mini peppers in place of chips is genius! Not only is it a healthier choice but it adds a bit of sweetness too! Thank you for sharing your brilliant recipes! Hi! Question- do the peppers get soggy/soft after cooking in the oven? I’d like them to be crunchy, like a real chip. Thanks! These were fantastic! My kids even scarfed them down… great alternative. The only thing is they tasted a tad salty, so I would probably just put less salt next time, but would definitely make again! Gina.. love all of you recipes! If you used 99% fat free ground turkey and Greek yogurt instead of sour cream how would this change the points? These were absolutely delicious. Made them for dinner . 1/2 burger, 1/2 chickenMake a full batch. They really disappear! Me and my husband loved these! I made as a dinner but would be great appetizer also. So yummy! We make these for football parties when I’m especially tempted to eat my weight in dip! They are so good that I can enjoy them and a more reasonable serving of the other dishes! Lol!! 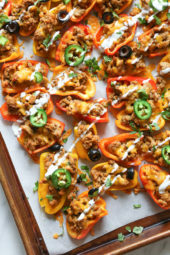 What a great way to use those cute little peppers! I made these last night, and my husband and I ate 2/3 of them, which was still half the calories of regular nachos! Absolutely delicious! Wasn’t sure I’d like the texture, but the baking time cooks the peppers yet leaves some crisp in them. I used grass fed beef and bacon bits for keto filling and topped with avocado and salsa after baking. Gina, I can’t thank you enough for your amazing recipes! 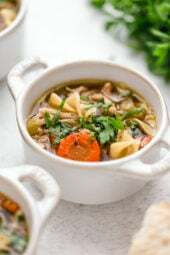 I have never been fond of cooking, but then I found your site and bought an instant pot! I am eating healthier, feeling better, and *cough, cough* enjoying cooking! I should add it took a mere 69 years! ???? I added corn cut from the cob and subbed taco seasoning for cumin. Delish! The corn added alot to it but it also adds carbs if you’re Counting! ???? How much of the mixture goes in each pepper? If you had the as an appetizer what would you serve for dinner after?? These were perfectly awesome! Made 2 different batches because my boyfriend wanted his with mushrooms. I added them to the meat mixture as it cooked and also added some cayenne for a little extra spice to his. He loved them..Thank you so much for this recipe. It is a new favorite for us! Question: is this regular full fat cheddar or fat free? Thank you! I made these for dinner last night. I had made the turkey taco meat a few weeks ago and had it in the freezer so it was a quick prep to get them in the oven. I added some spicy black beans to the turkey meat as I was a little short on meat. My husband and 17 year old son enjoyed them as much as I did and are calling dibs on the leftovers. What felt like an indulgent treat was a pretty healthy and satisfying meal. These were so delicious Gina! I’m sharing this recipe all over my FB page. My husband and I will never eat any other kind of nachos again! Thanks for sharing this! These look amazing! What do you think about grilling the peppers s couple minutes in each side first? Would they be a bit limp for finger goods? I haven’t tried that, if you do let me know! These are delicious, and so healthy. Thank you! These were great! Even my little ones enjoyed them! Thanks for the recipe. Finally made these yesterday for a party. They were great. I added chipotle black beans to the turkey and Roma tomato and avocado to the top. Sounds good! Glad you enjoyed them! Made these tonight….. they are incredible! I added a little guacamole. My husband requested them every week from now on. We own your recipe book and have lovef everything we have made so far. Thanks! My adult daughter & I made these and they are DELICIOUS! We used low-fat turkey but o/w followed the recipe. Topped w sour cream & black olives they make a meal. I absolutely loved these. Will make them again but will cut the salt back to ¼tsp. I find w the cheese, olives and salsa I served with them, they were a little to salty. But still super tasty. I also used jalapeño Greek yogurt instead of sour cream. Delish!! Another winner! these are literally our new favorite!!!! I made this earlier this week for lunch. So good and so filling! Just reheated for lunch again, and I swear it was even better reheated. I added pickled jalapeño and a little avocado and accounted for those separately. Thank you so much for the recipe! I just made tacos for the family and pepper Nachos for myself. They were amazing and I will probably not eat tacos ever again. Thanks again for another amazing recipe. These were SO DELICIOUS! I made with organic ground chicken as I don’t care for ground turkey. Thanks for the great recipe! We had these last night and they were even better than I had hoped they would be. I’ll definitely be making them again. Thanks for the recipe. Can these be cooked in the microwave? I’m trying to find fun lunch ideas and we don’t have an oven at work. I fixed this using the mini rainbow peppers for dinner last night because I was interested in later fixing it as an appetizer. We loved the flavors, but found it very hard to pick up to eat because the meat mixture was crumbly. My husband was suggesting it be made into a dip instead. What do you think the SP on these would be if I sub the turkey for Laura’s 96% ground beef? I made these last night and HOLY COW. So so so very good. We also do “Pizza Friday” (sometimes healthy, sometimes not) but I think we’re going to start doing nacho Friday instead. This is a new go-to. I loved the flavor, I was so surprised that they held together to eat with one hand (even better than chips!) and love that it’s essentially meat and veggies with a little cheese. Perfection. So happy you liked them, love that idea!! You have a gift, girl!! These were AMAZING!! These turned out great!! Loved them. These were absolutely fantastic. I have a hard time enjoying recipes sometimes when I have to swap something unhealthy with something healthy (like the tortilla chips with the peppers). As my friend’s boyfriend says “I was thinking in my head as you were making them that these would be way better on chips but they weren’t. They were just as good, if not better”. Gina from Skinnytaste, I don’t know what I would do without you and your recipes in my life!!!!!!!!! Awww, thanks Michelle! Glad you enjoyed them! I substituted drained canned black beans for the meat and used everything else as is. They were delicious and were a hit! Thanks for the wonderful recipes. I made theses yesterday for a super bowl party…they were a hit! Not a morsel left! I will definitely make these again and again! Go Pats! Made these today for Super Bowl, my husband who is not a fan of ground turkey happened to love them. The meat was tasty and moist. I drizzled the sour cream over the “nachos” with a plastic bag used as a make shift pastry bag. Great recipe! These are amazing! A meal in itself. Even my husband and my 5 year old liked them. I may never have regular nachos again, seriously! Oh my gosh these are so good! I forgot to buy tomato sauce so I subbed in salsa. These are a new favorite for sure. Tomato sauce makes me think of spaghetti instead of nachos, curious on this bc I would LOVE to make these!!!! Jenna, use salsa instead of tomato sauce. Home from the store with the ingredients. While everyone is eating pizza and traditional nachos, I won’t feel left out. Can’t wait!! These look great and a fun Super Bowl food for the diabetic in our family – getting the ingredients for tomorrow. Getting all the ingredients tonight to make for Super Bowl! Can’t wait! These look so good! What a great healthy alternative! Thanks Gina! These look great! 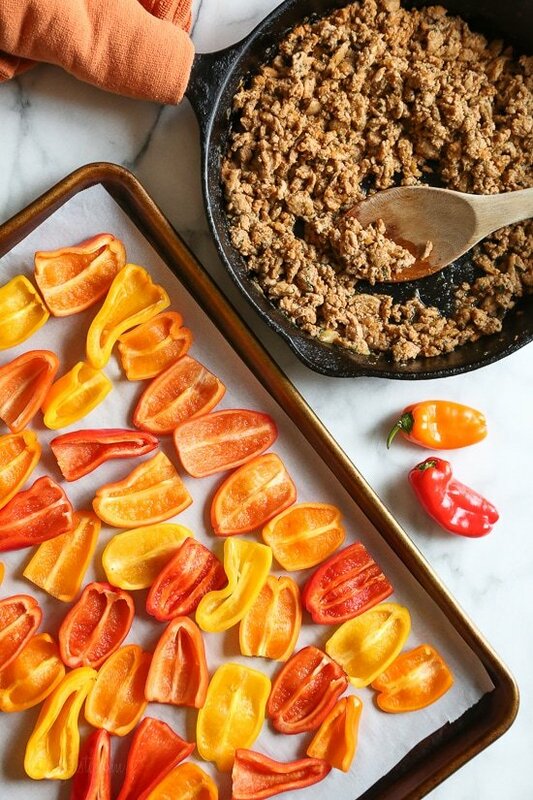 We love serving mini bell peppers as a appetizer or side. I would love to see more recipes using them if you have any ideas. Thanks. As soon as I saw the pics of these bad boys on your instagram, i couldn’t way to make them! They are toasting to perfection in the oven now! I have never seen mini bell peppers. Can you just use regular bell peppers and quarter them or something?